My dog SKANKED today. It’s the one thing Pluto does that can turn me into a hothead. And look at her smile there in the top picture. She looks pretty darned happy about it. What’s worse, when she finishes her SKANKING I am compelled to give her a reward: A FULL SPA TREATMENT. See her enjoying herself in a post pamper robe on the big blue bed? SKANKING. I am sure you have plenty of choice words for it yourself. This is mine. Skanking is when your dog chooses to merge physically with the foulest smelling organic material within immediate range. Could be dead animals. Could be poop. The pertinent detail is that you find it disgusting. And it must absolutely REAK! God knows! Psychology Today covers a number of possibilities. Are they trying to communicate? Are they trying to party? Who cares! Just show us how to make them stop! And that has not been discovered yet. I’m not even sure anyone’s working on that important global crisis. 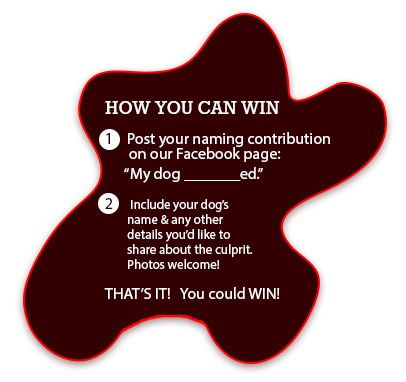 WIN Your Dog A Surfdog Robe & Some PAW 2-in-1 Conditioning Shampoo!!! Maybe we can’t stop it. But they say putting a name to a problem helps. Let’s come up with the PERFECT verb to describe this confounding behaviour so we’ll all feel better. ‘Skanking’ has made me feel better. But there’s room for improvement + collaboration here. Share your idea and you could win some awesome anti-skanking gear!!! Jump onto our FACEBOOK PAGE now and the booty may all be yours! You’ll be in with a chance to WIN a surprisingly practical Surfdog Australia Robe + some PAW 2-in-1 Conditioning Shampoo that gets the dirty job done quicker. May 29, 2015 | Filed under Inspiration, Living With Dogs, Uncategorized.